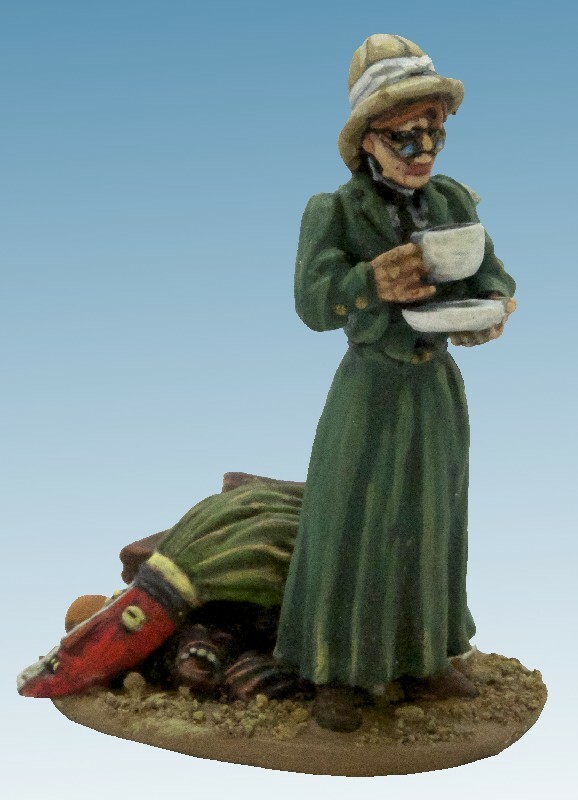 Lady Isobel Poppington, excellent African explorer, stops for a nice cup of Tea after examining her trophies. 28mm sized metal miniature, supplied unpainted. Includes the trophy base.